Mobile World Congress 2016 is something for which people had been waiting for months and fortunately, it will be live today. Although the event is held on a yearly basis, gadgets lover always do have the excitement to attend it so as to get some detailed and trusted information about the yet-to-be-launched products. 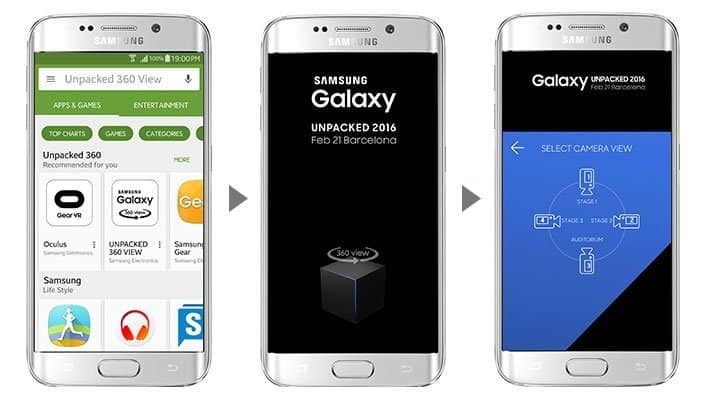 Samsung is holding their GALAXY UNPACKED 2016 event today at MWC in Barcelona. 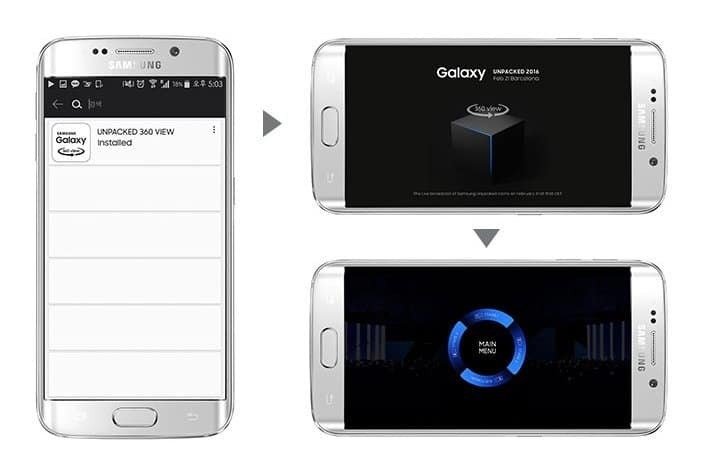 Along with Galaxy S7 launch, there can be few other announcements by Samsung. If you could not travel to the host city, you can watch the event live at your place. 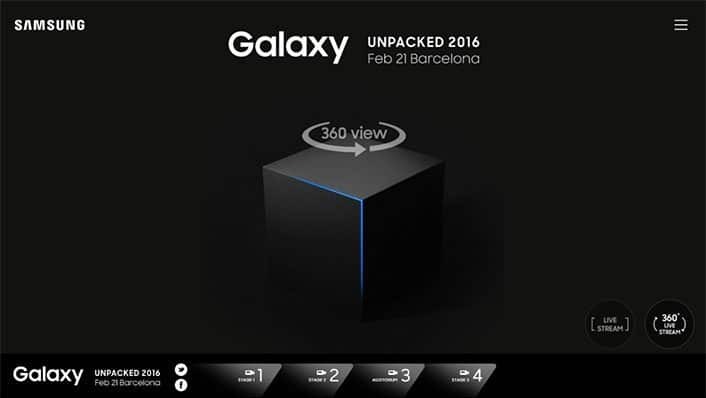 The Galaxy Unpacked Event 2016 will begin streaming on February 21 at 11.30 P.M. (IST). Now select the angle at which you wish to watch the event. Go to the app stores or market of your smartphone whether Android of iOS based and hunt for the “Unpacked 360 View app”. Once you find it, simply hit the install option. Now launch the app at the time of the event (begins at 11:30 IST) and select the angle from which you wish to watch the event. As like you did above, search for the “Unpacked 360 View app” in Oculus store. Subsequently, download and install the app. Once the app is downloaded successfully, launch it via the Gear VR headset. Ultimately, as soon as the event begins, select the angle from which you wish to watch the event. Head over to the Samsung Galaxy Unpacked 2016 Live Stream on Youtube Channel. So, this was all about watching Samsung’s upcoming devices’ launch event at your own convenience, own place and from the perfect angle, of course on your screen. Check out other expected announcements in MWC2016.